Your fish are awesome to watch and fun to feed, add proper fish care and it's easy to keep them healthy! Proper fish care is essential to the health and well-being of your fish. Taking care of fish does take a bit more than just feeding your pets, but its not hard and the results are fun and rewarding. Although fish tank maintenance is not as time intensive as other hobbies, there are certain requirements for keeping any kind of pet and aquariums are not excluded. The filtration on an aquarium is a great workhorse in helping to keep the water quality optimal for the health of your fish. There are three primary types; mechanical, chemical, and biological. Each of these types, as their names imply refer to a particular process. Mechanical is just that, mechanically removing debris by running the tank water through filter pads where the debris collects. Chemical filtration runs the tank water over additives, like carbon, to remove various chemicals. But its the biological filter of an aquarium that is perhaps the single most important type, and a fascinating process. The idea that the aquarium needs to be completely broken down and cleaned every so often is a myth that persists. But with the discovery of natural biological filtration, which occurred in the 1970's, taking care of an aquarium is now much simpler than that. A bi-monthy or even monthly partial water change can be enough to keep a healthy aquarium. Indeed, completely cleaning an aquarium is actually detrimental to the health of your fish since it can disrupt or destroy the biological filter which is essential to removing deadly ammonia and nitrite. The biological filter consists of living bacteria in the tank that removes, or feeds on, toxins that are harmful to your fish. These bacteria colonies will grow on all sorts of surfaces including the filter medium (floss) in the filter, as well as on the gravel, glass, and even on the surface of aquarium ornaments. You can't see it, but as long as its alive, its working to keep your tank water clean. Develop and keep stable water conditions with biological filtration, see the Aquarium Nitrogen Cycle for more information. It's easy to cycle your aquarium, and once cycled, its easy to maintain. Fish tank care is a simple process. It takes daily fish care and set up a good tank maintenance schedule. Simply know how to clean a fish tank, do water changes, and maintain the filtration. Once you get your "hands wet", fish keeping is simple and very rewarding! Feed your fish daily. The rule of thumb is to give them as much as they can eat in 5 minutes. Watching your aquarium is the source of enjoyment you get from your aquarium, so take the time to watch for unusual behavior and signs of illness or distress. Keep an eye out for visual signs like white spots, frayed fins, red or splotchy patches, bloated bellies, or hanging feces in your fish. Observe the fish interactions with each other to be aware of bullying, fin nipping, or excessive hiding of your fish. Watch for gasping at the surface, imbalance or swimming in an odd or different manner than is usual for your pets. If you observe any of these signs you may have to isolate or remove certain fish or treat the aquarium with medication for disease. Check the fish disease and treatment section if you suspect any illness. Remove any dead or dying fish immediately. Check the temperature of your aquarium. Make adjustments to the temperature if necessary. Stuck or malfunctioning heaters should be replaced. 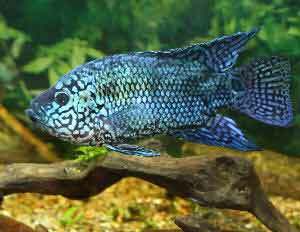 By most accounts freshwater or saltwater aquarium systems need partial water changes on a regular basis. The main reason for water changes is to remove compounds that are not removed by any of the filtration methods such as nitrates and phosphates. Water changes also serve to replenish trace elements, and to clean the gravel of accumulated detritus and waste. It is best to use a gravel siphon specifically made for aquarium water changes because they are made to only siphon water and not pick up the gravel. Freshwater: The recommended amount of water to change is about 15-20% per month. The reason this is listed as a bi-monthly task is that for keeping the aquarium stable and reducing sudden changes in the environment, smaller water changes done frequently are best. If you are using tap water, make sure to add chlorine remover to the replacement water at the recommended dosage. You may also add other additives like Stress Coat, Novaqua, Biozyme or any of the many water conditioners available to aquarists. Check for examples. Saltwater: The recommended amount of water to change is about 20-25% per month. If you don't have gravel in your aquarium, you can use this opportunity to remove detritus, algae, and any other accumulated waste. Make sure the replacement water is at the same specific gravity as your aquarium and mix it well in advance. Mixing the saltwater 24 hours in advance is recommended. For reef aquariums, read more in reef aquarium setup: maintenance. Many commonly kept fish are not exceptionally difficult to care for provided their water is kept clean. Aquariums are closed systems and regardless of size, they all need some maintenance. Here's a list of the equipment and the basics for cleaning the aquarium. Before removing water make sure to either unplug the heater, or lower it in the tank to make sure it stays submerged in order to prevent cracking. Also unplug the filter. If there are any snails or frogs in the tank, to prevent injury take some time to remove them from the tank while cleaning. Remove and scrub any plastic plants and other decor as needed. Just use plain water without soap, as soap residue can increase phosphates and cause an algae bloom. Remove algae from the glass using an algae pad or algae magnet. Do this before removing water so you will be able to remove algae debris with the gravel siphon. This will also help prevent the algae from spreading. Start removing water using a gravel siphon. Siphon the tank water into a clean bucket for use in the next step. Quickly and carefully siphon all the areas of the substrate being very careful around live plants. It helps to siphon at an angle. This will help to prevent clogging the siphon as the angle allows the substrate to slide back out. Siphon until you've removed the amount of water you want to replace. This is typically anywhere from 15% to 50%, depending on the bioload and type of fish. Remove the filter media pads. Rinsed them with the water in the bucket (taken out of the tank) and then put them back in the filter. Don't use tap water to rinse the pads as the chlorine in the tap water will kill benefical bacteria that is living in the filter media. Don't replace these filter media pads with new pads when doing a water change as this can remove to much bacteria. Removing the bacteria will upset the water chemistry balance and cause a shock to the fish. Its better to include a new filter pad with the existing one. Then you can remove the old pad after the newer one has had a chance to colonize with bacteria, at least a couple of weeks. Replace the decor, plastic plants, and anything else taken out of the tank. Empty and rinse the bucket, and then fill it with clean water, making sure that it is the same temperature as the tanks water. Add a water conditioner to remove chorine and add salt if used. Carefully start refilling tank with the conditioned water. Plug in the heater and filter, and wipe down the outside of the tank glass with the soft rag or paper towels. Change any activated carbon you may have in your filtration system. Clean any power filters with mechanical and/or chemical filtration and replace the resins if needed. Check your light bulbs and change them is needed. Usually, light bulbs will last anywhere from 6 months to a year, be aware of when that is and change them as necessary. Make sure your fish aren't getting too big for their bowl or tank. Do an aquarium size vs. fish size calculation as it might be time to upgrade to a larger size aquarium. Every 5 months is a good time to make sure you have plenty of carbon, replacement filters, chlorine removers, and any other necessary for your type(s) of filtration. Clean Tank - Do your partial water change and make sure the tank is full the day before you leave. Change The Filter - Check to see if a filter change is needed and replace accordingly. Feeding Your Fish - Do not overfeed your fish before you leave. You will only make your fish bloated, sick and constipated. It is not necessary to have someone feed your fish if you will be away for one week or less. If you will be gone a week or more, however, use one feeder block if you have a bottom feeder fish. For other types of fish, use a mechanical feeder or find a fish-wise friend to feed the fish for you. Proper fish care is very important and will help your fish live long and happy lives!